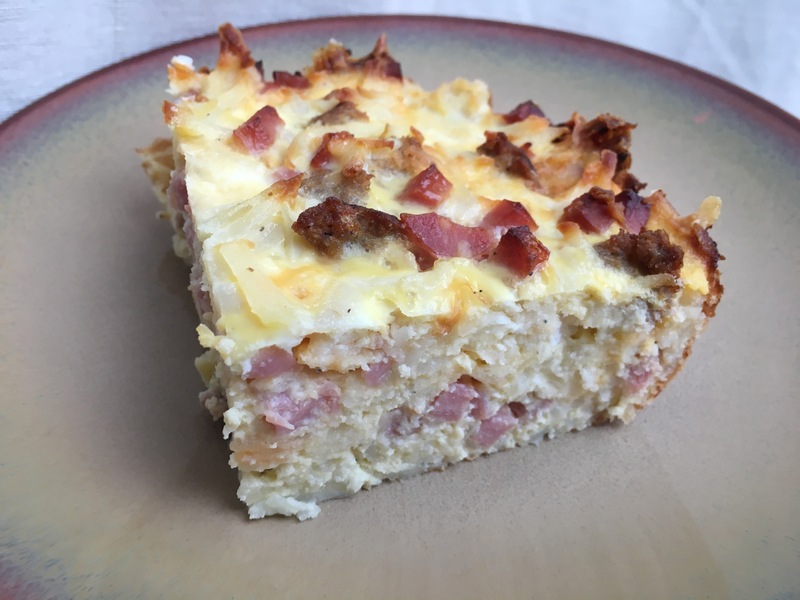 Add frozen hash browns, cooked sausage, ham and cheese to a large bowl and mix to combine. Pour mixture into 9×13 baking dish that has been coated with cooking spray. In a large bowl, whisk eggs with the milk, salt and pepper. Pour egg mixture over the hash brown mixture. I’m not mad at this Meal Prep at all. Insanely easy and 🌺HAWAIIAN ROLLS🌺 Yes, please! 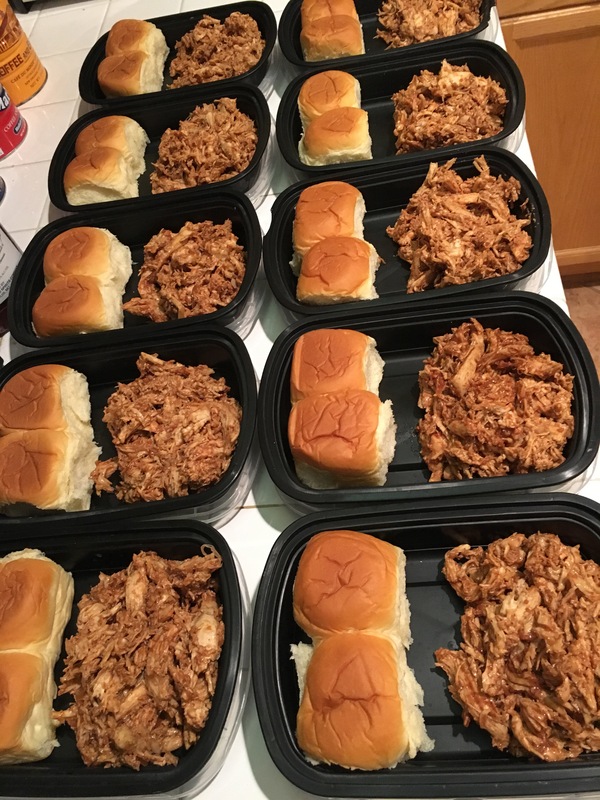 I threw 9 chicken breasts in the crockpot with some water and cooked the chicken low and slow for about 7-8 hours. I shredded the chicken and then added Sprouts brand Honey Chipotle BBQ Sauce. The kids (and the hubs) are all over this. If you don’t have a Sprouts store in your area or you’re not able to find that brand in your local grocery store, try to find the healthiest version of BBQ sauce that you can find. I use Sprouts brand because there is no sugar in the sauce. You can also make your own BBQ sauce. 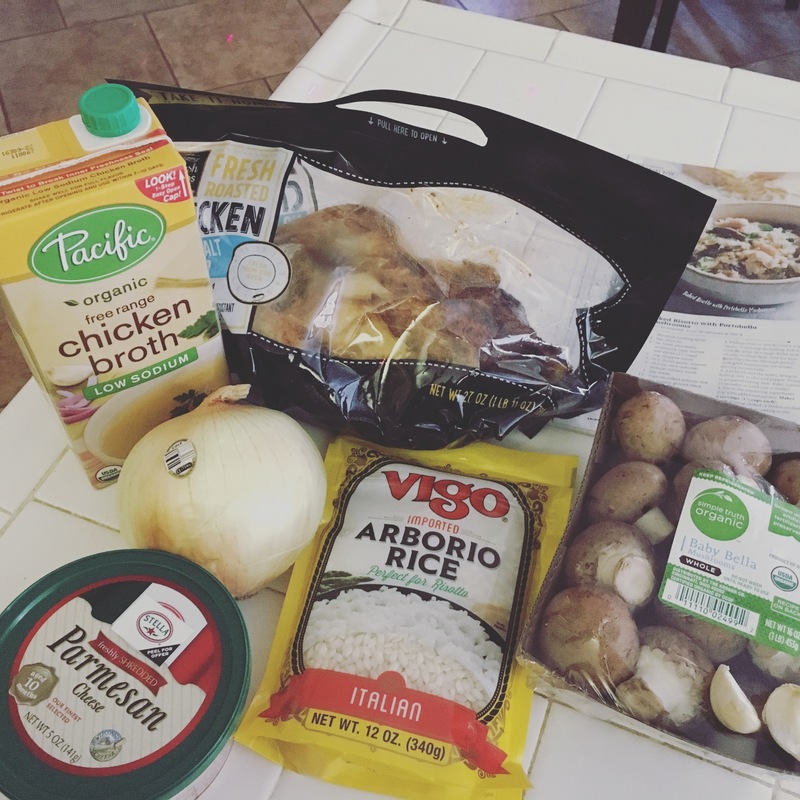 This Whole 30 approved version is pretty good and can be found here. Baked Chicken Breast, Mashed Sweet Potatoes with Sugar Free Maple Syrup and Collard Greens. 🏻HERS: 6oz of chicken breast, 1/2 cup sweet potatoes, 1/2 cup of greens. 🏽HIS: 8oz of chicken breast, 3/4 cup sweet potatoes and 3/4 cup of greens. 🐓Perfectly Baked Chicken Breast🐓 Set oven to 400 degrees, cook chicken for 10 minutes then flip over and cook 10 minutes more. 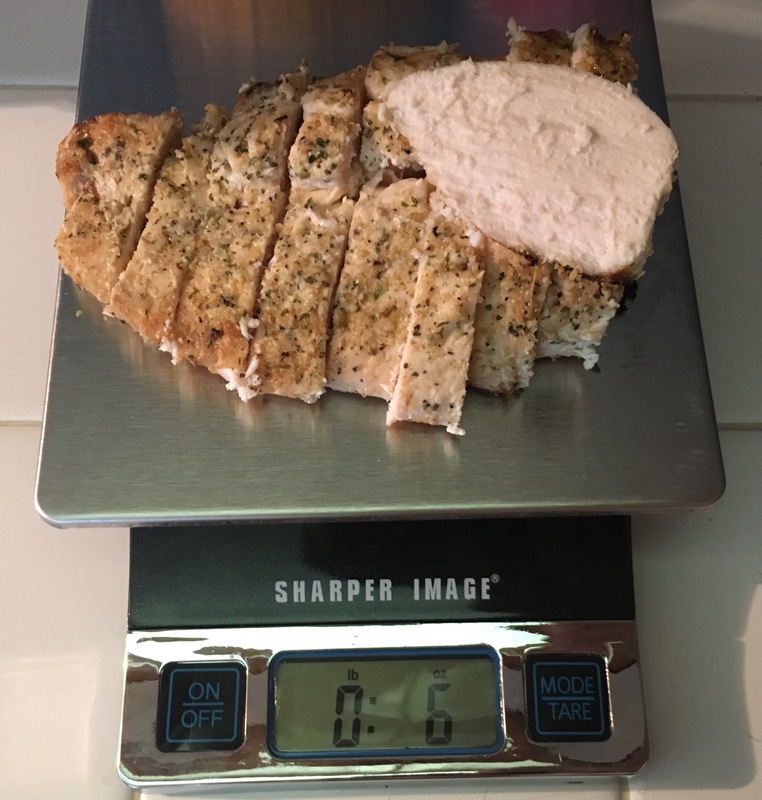 I always get perfectly cooked and moist chicken breast with the high temp less time method. Seasoned with Mrs. Dash. 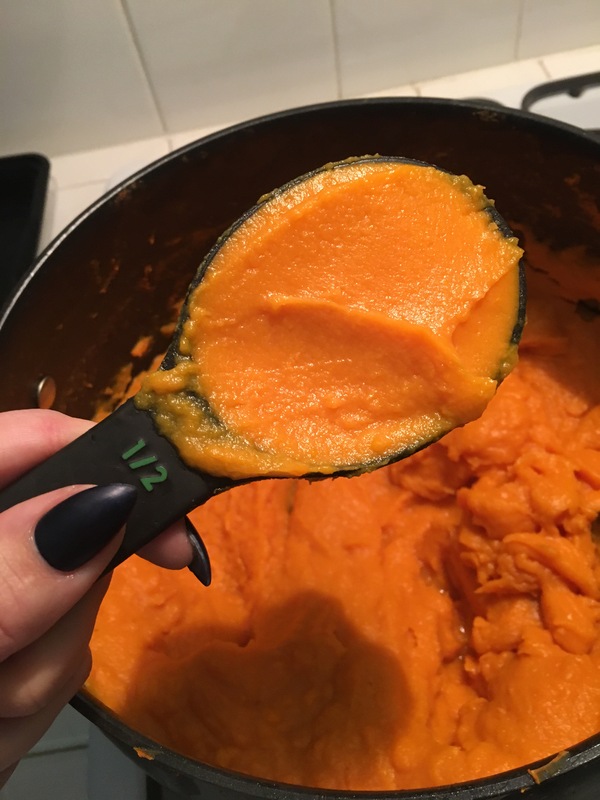 🍠Sweet Potatoes 🍠 Chop those babies up and boil until soft, about 20 minutes. Put in bowl and use some elbow grease or an Immersion Blender (my method) to mash. Add sugar free maple syrup until you obtain your desired consistency. Doesn’t take much so add slowly. NO SALT! 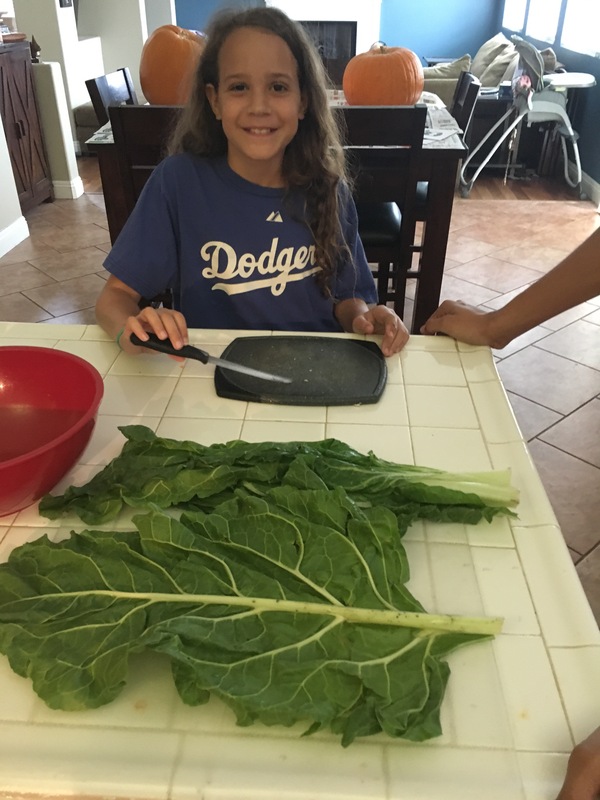 🍃Collard Greens🍃 (Per bundle of greens) Cut out center stem, roll leaves and cut so you have long ribbons. On low, cook 1 strip of chopped bacon in skillet until the fat melts and then add 1 Tbsp of olive oil and 3 chopped garlic cloves. Cook until garlic is golden. Add greens, season with salt and cover, stirring occasionally and cooking until soft, about 10 minutes. I use “Extra Light Tasting Olive Oil” because I don’t like the taste of olive oil. Unless I’m dipping bread in it. To each their own. 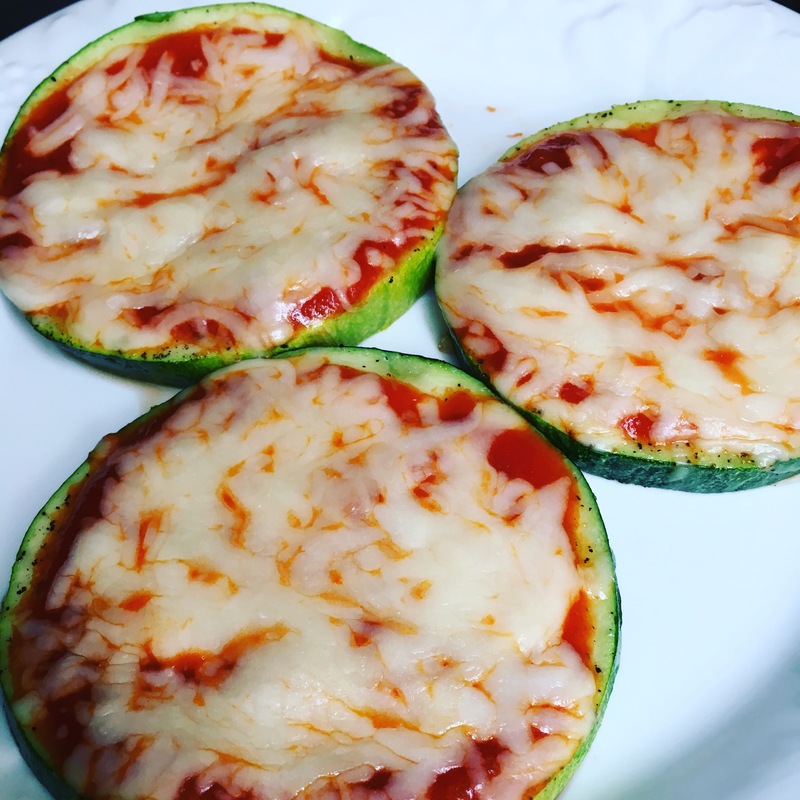 Zucchini Pizza Bites, a guilt-free alternative to one of my favorite foods and probably a lot of yours as well. I kept it simple with a pre-made sauce and cheese but you can definitely jazz these up a bit more. Use a homemade sauce for an even lighter option and top with mini pepperoni, turkey sausage, etc. One thing to remember is that the cook time is quite short (see below), so if you’re putting any meat other than pepperoni on these, it will need to be precooked. Set your oven to broil. If you don’t have a broil function, 500 degrees should be sufficient. Using a baking sheet, line with foil and spray with cooking spray. I use an Olive Oil spray. Using a medium to large size zucchini, cut in 1/4” slices. If you have a smaller zucchini you can cut at an angle to create larger oval-shaped slices. Place sliced zucchini on baking sheet, spray tops with cooking spray and sprinkle with salt and pepper. Bake zucchini for 2 minutes on each side. Remove from oven, top with sauce, cheese and any other toppings you desire and bake for 1-2 more minutes, careful not to burn the cheese. 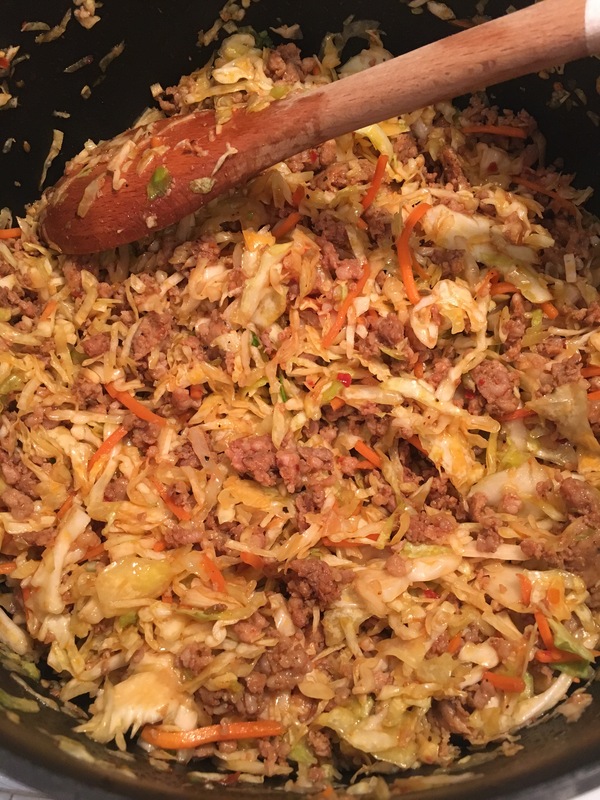 Yesterday I prepped this delicious meal for myself and my husband with plenty of leftovers for our 3 kids, who all loved it too! The recipe is below for 4 servings but I, of course, multiplied that. 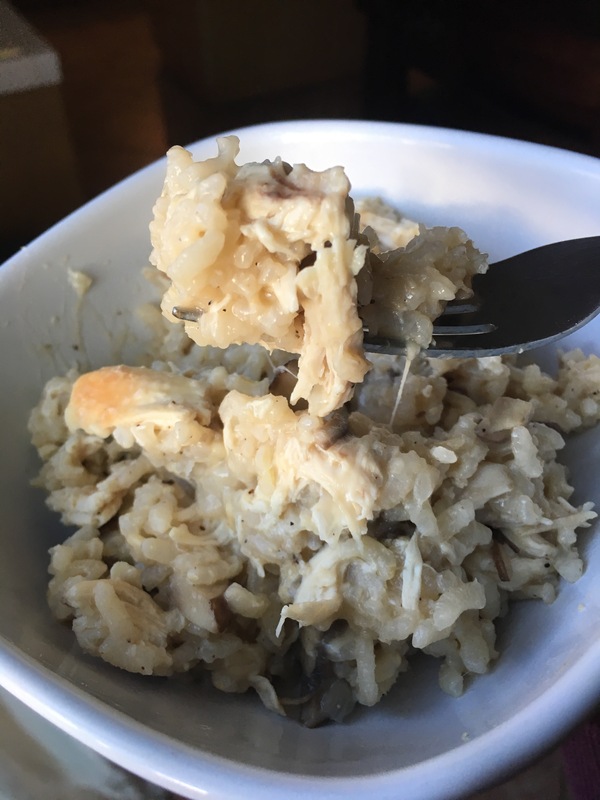 I made 17 servings for my husband and I and his are a double serving of the meat loaves (2 instead of only 1) plus all the extras you can see in the photos below. 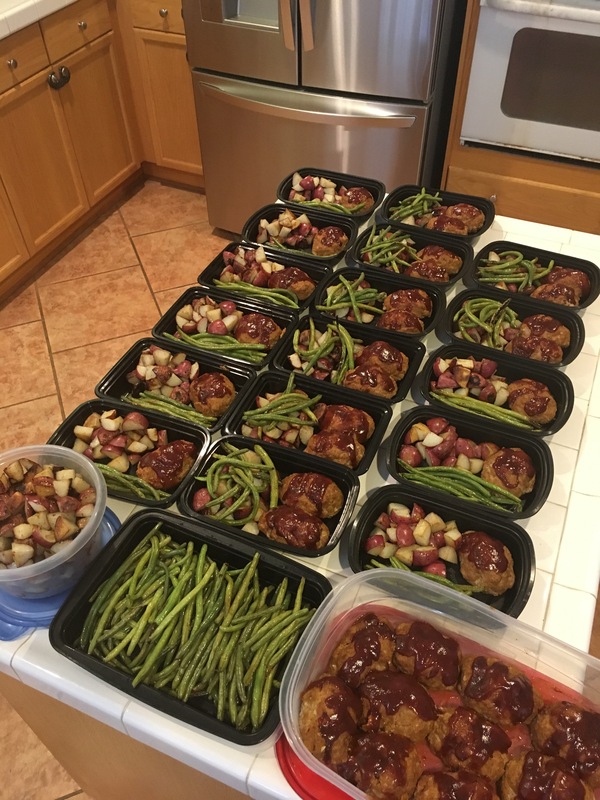 I used 7-8lbs of Ground Turkey, 4lbs of Green Beans and 10lbs of Potatoes. 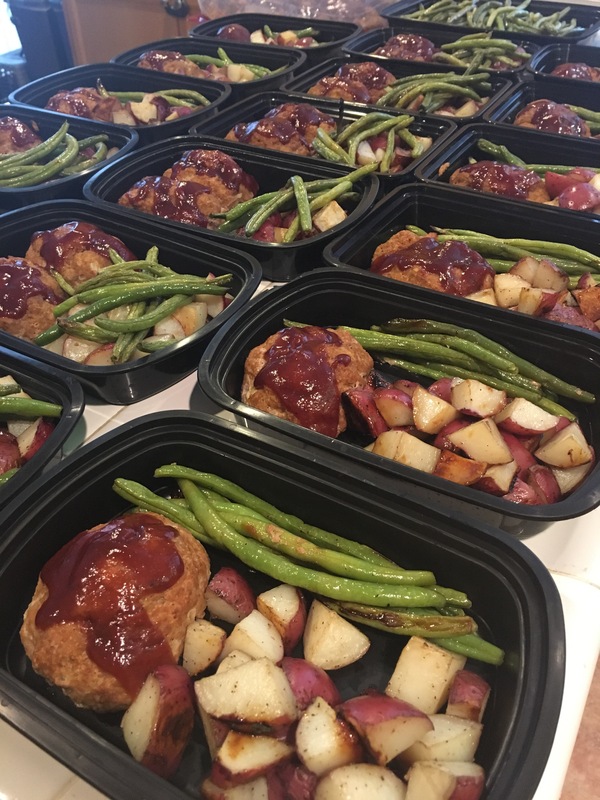 Meal Prepping can be quite intimidating at first but I assure you, it is very simple and such a time saver when you don’t have to worry about cooking lunch or dinner for the next 7-10 days. 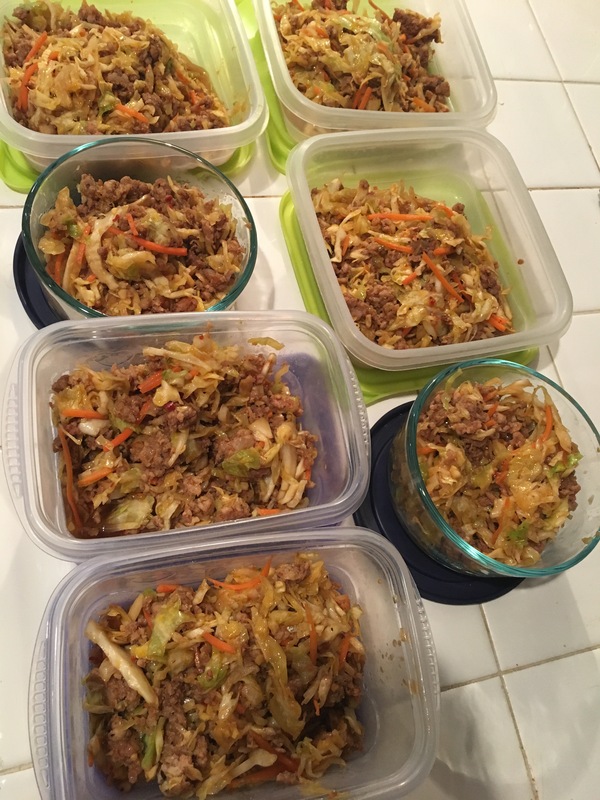 I’ve created a Meal Prep Guide to help others understand and get started with prepping. It isn’t difficult, it just takes a bit of planning and it can definitely help you hit your goals. If you’re interested in the guide, it is only $5.00 and is in PDF format so it will be sent via email. Preheat oven to 400 degrees. Line a 15×10 inch baking pan with foil; coat foil with cooking spray. Place potatoes on 1/2 of the prepared pan. Drizzle with 1 Tbsp Olive Oil and sprinkle with salt and pepper. Bake 20 minutes, stirring once. Meanwhile, in a large bowl combine next four ingredients (through Garlic Powder). 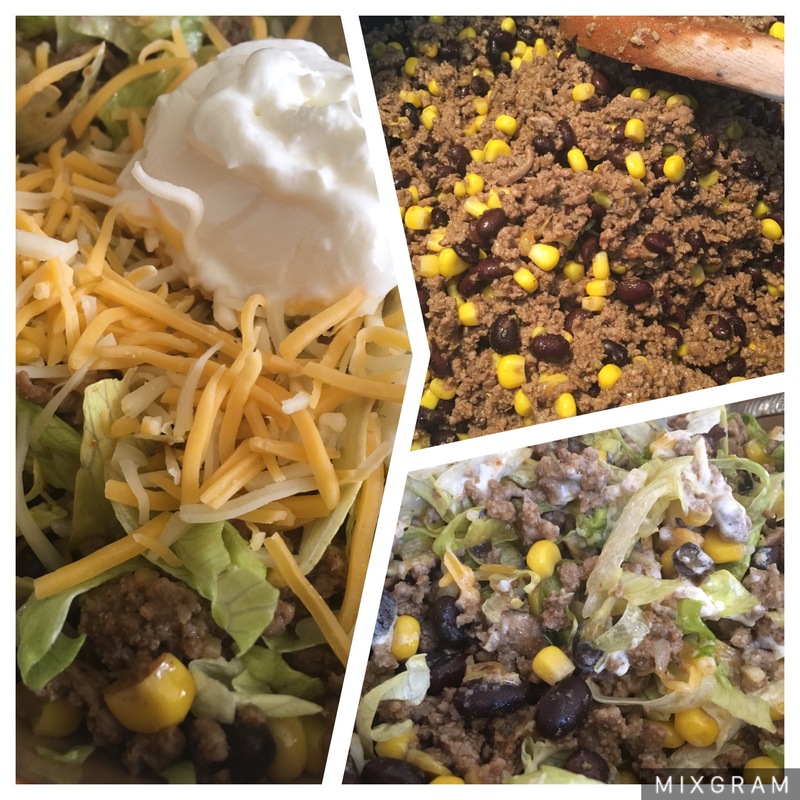 Add ground beef (or turkey); mix well. Shape into four 3-1/2 x 2 inch loaves. In a medium bowl drizzle the green beans with 1 tsp. Olive Oil and sprinkle with salt and pepper; toss to coat. Place loaves and green beans in the pan with the potatoes. Bake 20 to 23 minutes more or until loaves are done (160 degrees F) and potatoes and beans are tender. 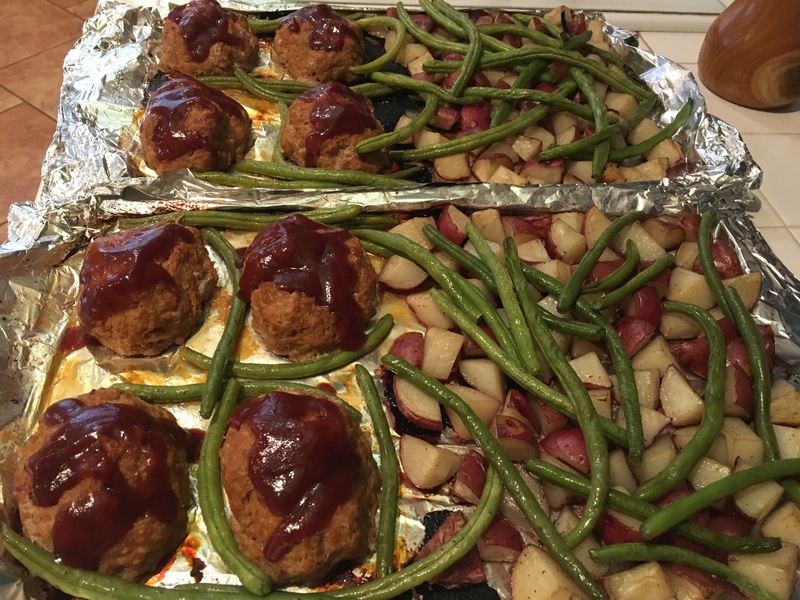 Spoon 1/4 cup barbecue sauce over meat loaves; cover and let stand 10 minutes. 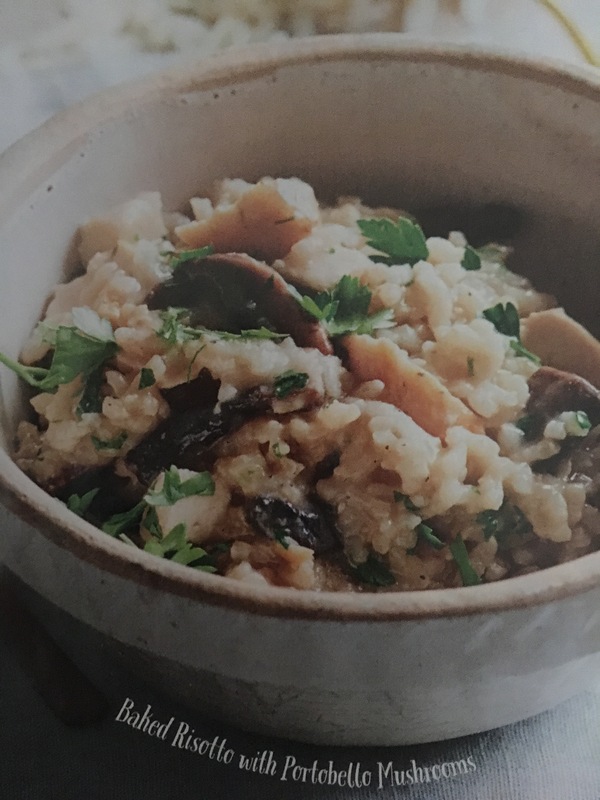 Serve with potatoes and beans. Makes 4 servings.